Break-ups are awful, and they’re very real, but that doesn’t mean they get to take over your whole life for a year. You can take charge! You can be the boss of your break-up! You can choose to see it as a gift! 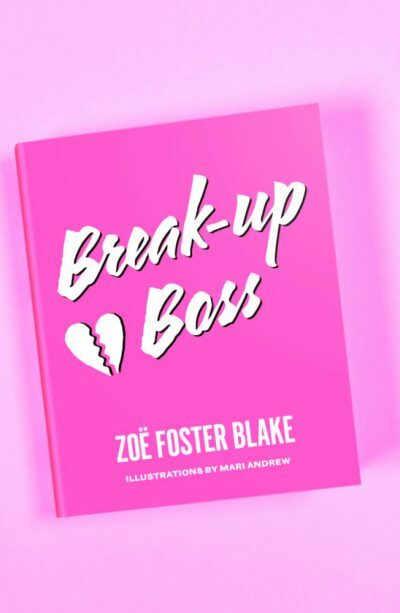 Break-up Boss gives you all the tools and techniques (and lots of lectures – cute!) to deal with all of the stages of your break-up. This is a Real Life, no-nonsense picture of a break-up, and an enthusiastic, empowered and positive view of how to deal with it. Think of it as a teeny-weeny love coach! Always on your side, and with a singular goal: to get you through this break-up in a positive, healthy fashion, and over onto the sunny unicorn-saturated hill of self-confidence and happiness. Or at the very least, to not text your ex just cos it’s Sunday and you’re sad and hungover and fancy some hanky panky.